amir Nasri is a French international footballer who plays for Manchester City in the Premier League and the France national team. Though he primarily plays as an attacking midfielder and a winger, he has also been deployed in central midfield. Nasri began his football career playing for local youth clubs in his hometown of Marseille. He joined Olympique de Marseille at a very young age and spent the next seven years developing in the club's youth academy at La Commanderie, the club's training center. 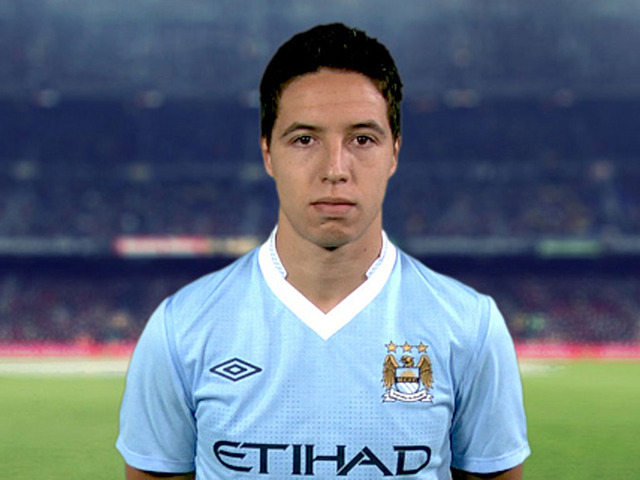 Nasri made his professional debut in September 2004 against Sochaux. In the following season, he participated in European competition for the first time after playing in the 2005–06 edition of the UEFA Cup. In the 2006–07 campaign, Nasri won the National Union of Professional Footballers (UNFP) Young Player of the Year award and was also named to the Team of the Year.. During his time with the club, he has made over 160 appearances. In June 2008, Nasri joined Arsenal on a four year contract. He won the Professional Footballers' Association (PFA) Fans' Player of the Month award on three occasions and was named to the association's Team of the Year. In December 2010, he was named the French Player of the Year. In August 2011 Nasri joined Manchester City on a four-year contract, his first major honour came in the very first season as the club won the 2011–12 edition of the Premier League. Being a French youth International, he has played on the under-17 team that won the 2004 UEFA European Under-17 Football Championship. Nasri has represented France at two major international tournaments: UEFA Euro 2008 and UEFA Euro 2012. Samir Nasri: Where did it all go wrong for the 'next Zidane'? Jamie Vardy's theatrical fall - Where's the moral police now?